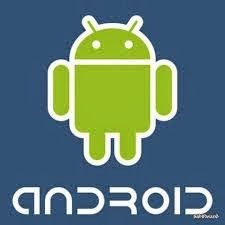 Here is the full list of internet configuration codes for automatic configuration and settings for manual configurations, each platform is taken care of, that is each of Android, Java, Symbian and Apple (iOS) has its own personalized settings and codes so that you don't have to worry about looking for each one. There are about 4 major network carriers in Nigeria that provides internet services to its customers. Those networks provide many services from non-internet services like; Voice calls, SMS, Multimedia to internet services like; Web (Access points, GPRS, 3G, 4G etc), Data bundles for browsing, Live streaming and downloads. Although there a host of other network providers in the country but this four networks which are MTN, Glo (Globacom), Airtel, Etisalat are the biggest and also they are used by the majority and as such they are those we will at. If you want to set up internet on smartphones like the Android-enabled devices like HTC or Apple device like iPad and iPhone it's important you have an active data plan, in fact, it's a must. Why do you need an active data plan? Because these smartphones are like half-produced computers, they load web pages with everything in it fast, like on PC, if you were to leave let's say 750 Naira worth of airtime and after configuration, you open your web browser, the whole airtime(credit) will be wiped out. Put simply on some device without internet bundles (data) you can't browse, even if you do then be prepared to load airtime each minute. What are Internet Bundles and Data? You may or might not have known what bundles or data are all about, it's even possible for you not to know the difference, although there is not much difference. 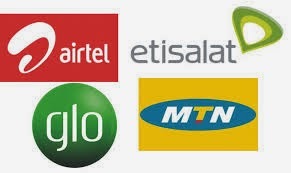 MTN, Glo, Etisalat, and Airtel have what they call internet bundle plans (or data bundle plans) for a wide range of smartphones, these bundles are a collection of internet data, specifying the exact amount of data and duration, basically, it gives details. Think of as the networks telling you via this bundles how to use and when to use your data. Internet Data, on the other hand, is the "thing" that makes it possible for browsing, it's just what you'll get if you subscribe to a data bundle or plan. Data comes in two major formats Megabytes MB, and Gigabytes GB, mathematically the MB is lower than the GB. Nigerian network carriers measure the amount spent in loading web pages in kilobytes which is much lower than MB and GB, for those who use airtime to browse on average it's 5 Naira per kilobyte, that's a lot of money when how much kilobytes are used to load a single webpage is factored in, in some websites it takes 200-500KB to load them multiply them with how many times you refresh the page and visit other sites/blogs. That's why important you have to have an active data plan. For the various internet bundle subscription available and the codes for activation see Airtel cheep codes and a list of simple network subscription codes. The above links are cheap subscription codes which are best used on Java and Blackberry phones. I'll soon come up with the full internet subscription codes for smartphones that run on Android and iOS platforms. In the meantime configure your smartphones first. MTN Automatic Settings This can be obtained through SMS, just send Settings to 3888. Name Glo Direct Access Point Name (APN glosecure Username : gprs Password : gprs Homepage : http://www.gloworld..com Authentication: Type Normal or PAP or CHAP or PAP CHAP (varies depending on the type of device). Automatic Settings To Push the settings to your Mobile phone, enter the phone number here and save. Automatic Configurations SMS the word INTERNET along with your phone's make and model to 232. E.g, for Nokia Asha 200: Send internet Nokia 200 to 232. When your settings arrive to save it. If prompted for a PIN, use 0. If prompted for a longer pin use 0000. - Go to ‘Settings’. - To ‘Wireless & networks’. - To ‘Mobile Networks’. - ‘Access Point Names’ - Click the Menu button’ -Then select ‘New APN’. Then put the settings you that you find below. - After that press the radio button to select it. For automatic settings use the commands that is used for Java phones which can be found above. Go to Setting > Cellular Data > APN Settings > APN: web.gprs.mtnnigeria. net Username : Web Password : Web and save. For automatic settings you've to put your sim card to another phone other than iPad or iPhone, then send Settings to 3888, receive the message and save it, then put back the sim card, wait for some time you'll see the 3G icon, your phone is now web ready. For this three network, you have to add their APN one by one and save. The individual access point can be found above, the ones for Java can do the job. For the Automatic settings try doing the sim card swap mentioned above, that is put the sim in another and send the commands, receive the message and save, and then put back the sim card and wait until you see the 3G Edge or any other indications. To put the setting, go to Menu by pressing or tapping the menu key and navigate > Network Setup on your Blackberry. Use the procedures for Java above, imputing only what you're asked. All automatic codes can be obtained by sending them messages with the proper activation commands. As you've seen access point name and address (APN) are very important, so put them carefully and where they belong for this work. You've to subscribe to a bundle plan to be able to browse. You've to turn on your devices network settings this is for some smartphones. Did it work for you? Comment below, don't forget to share using the share buttons below. Remember "sharing is caring".